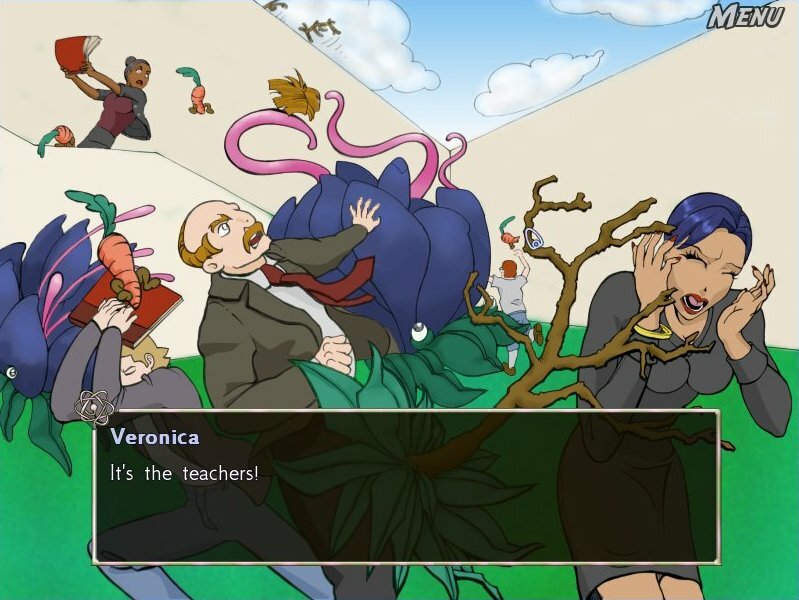 Alien plant monsters have invaded the girls' school - Can the science geeks save the day? Science Girls! It doesn't exactly invoke images of superheroic powers, does it? Nevertheless, when an invasion by aliens strikes the girls school where our six brilliant, beautiful science club members attend, it is up to them to use their special powers to save the day. Six schoolgirls against hordes of hair-pulling aliens? The aliens are so toast. 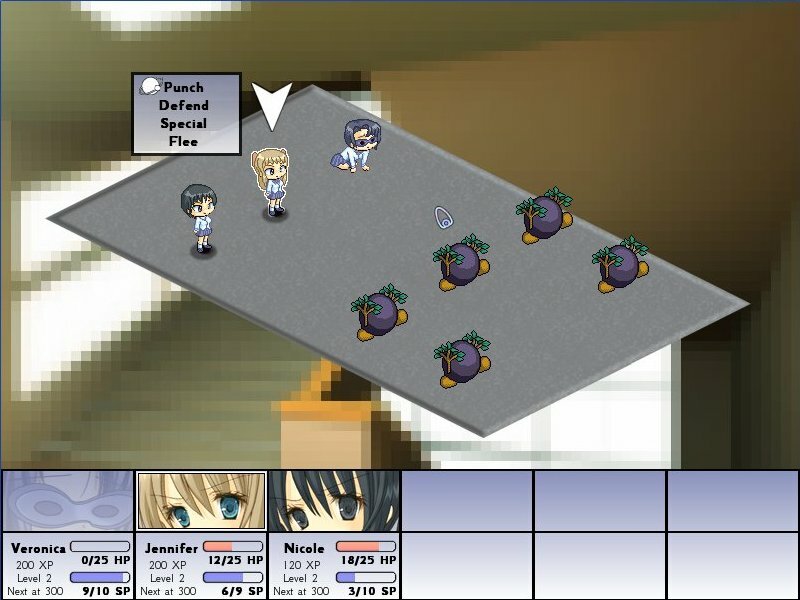 Science girls is silly, light-hearted role-playing where the school (and alien dimensions) are the battlefield, science (and a good left hook) is the weaponry, and hiding your face in your hands is an effective defense. It's short, it's cheap, and it's a lot of fun. 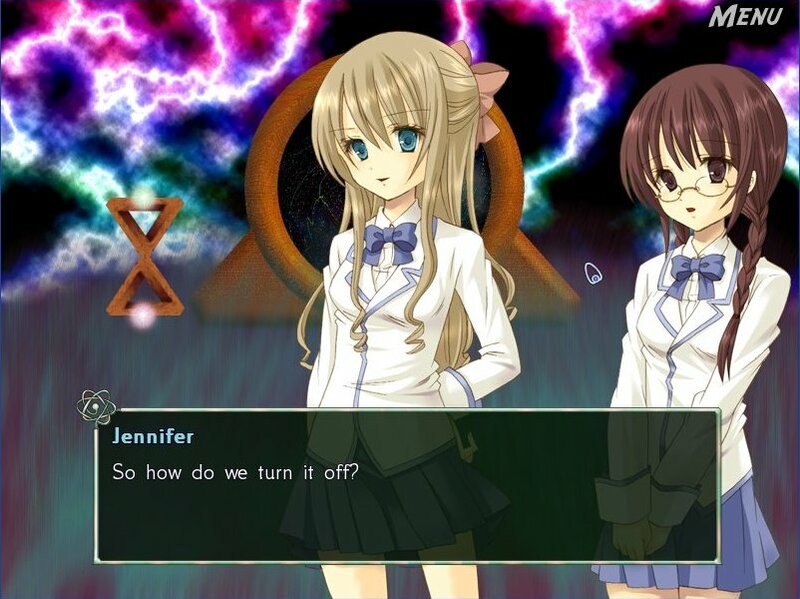 In addition to the above Windows version, Science Girls! is also available for Mac and Linux!